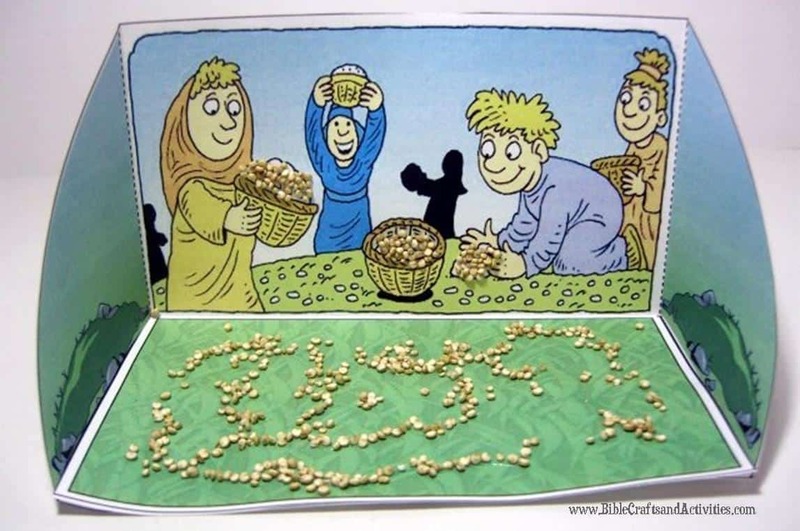 This craft helps the children remember the manna God provided for the Israelites during their time in the desert. The background image comes from the Bread from Heaven book available from LambSongs Bible Story Books. You can download the template for the diorama here. Cut on the solid lines and fold on the dotted lines. Add glue where marked. 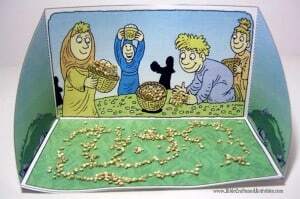 Encourage the children to add seeds or grain in the baskets and on the ground.